Your pet’s dental health is more important than you may realize. Dangerous infections can result from large buildups of tartar, gingivitis, an abscessed tooth or problems with your pet’s gums. The mouth is the portal to the rest of the body and as such it can act as a conduit for infection to spread to the digestive system, lungs, heart, and other major internal organs. 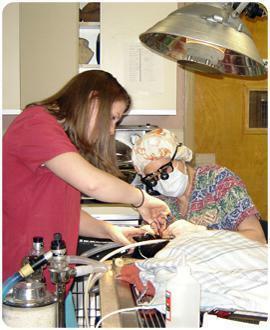 Central Veterinary Hospital offers a designated dental suite that is fully equipped with x-ray technology, ultrasonic scaler, polisher, and drill. Our dental expert, Dr. Tobin, is here to help your pet with all of his or her dental needs. To learn more about your pet’s dental health and future care, call us today to schedule a consultation with Dr. Tobin.